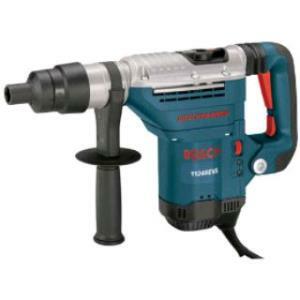 The Bosch spline drive rotary hammer offers dual mode operation for hammering with or without rotation. It has variable speed control, a vibration reducing handle, and can handle any size spline drive bit. Applications include drilling through concrete block, poured concrete, brick and other masonry. Bits are rented at an additional charge and vary according to size. * Please call us for any questions on our roto hammer large rentals in Hillsdale and Ridgewood NJ.